Aarcher Institute is reporting a 70% increase in environmental training course registrations for the first quarter of 2012 over the same period in 2011. The Aarcher Institute of Environmental Training is reporting a 70% increase in environmental training course registrations for the first quarter of 2012 over the same period in 2011. The Aarcher Institute's director, Barry L Rubin, notes that the increase in employee training appears due in part to companies having put a hold on certain expenses in recent years, that now "... are again sensing the need and recognizing the value of employee training..."
Rubin also notes this includes firms and organizations where budget reductions and downsizing have resulted in environmental management responsibilities being added "... as an additional duty for existing management and staff." 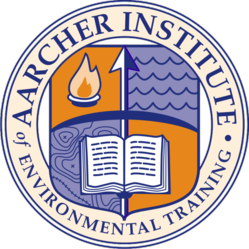 Founded in 2005, the Aarcher Institute of Environmental Training offers open-enrollment training courses across the country, as well as private onsite training for client organizations on a range of technical topics critical to maintaining compliance with environmental requirements. Some of the Aarcher Institute's most popular environmental training courses include the nationally recognized Original Environmental Compliance Bootcamp, Clean Air Compliance Manager, SPCC Compliance Manager, and Mastering RCRA (with DOT Certification). More information about these and other courses presented by the Aarcher Institute can be found on their website.